You often hear the word “monetisation” on Internet business circles. Basically, it means how to adapt a non-revenue-generating asset into a revenue-generating asset. Instagram is a famous example of an asset that has not yet been monetised because it is not generating any revenue. Monetisation is a strategy that might worked more than 12 years ago, when the dot-com boom was at its heights, online competition was scarce, and consumers were just getting used to the idea of free content. Back then, the strategy was to “build it and money will come”. This strategy implies putting profit-making on the back burner while the asset is being built. The assumption is that profit will naturally come later. But then, remember that Google hadn’t really existed at that time. Then Google came along and the Internet world was plunged into the Google Trap. Today, when the moment the word “monetisation” is applied to a business ‘asset’ it is an indication that it is a dead business. It implies that the asset-owner does not have a long-term strategy in place. Even during the dot-com era, profits did not naturally come after you build it. Today, they will almost certainly not come (of course, there are always exceptions). 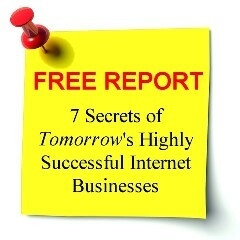 Very unfortunately, even today, aspiring Internet business owners are encouraged to think in terms of monetisation. The Internet is awash with information and tips to teach bloggers how to ‘monetise’ their blogs (see “Is blogging a dead way of making money?” on blogging as the business model). There are lots of content about monetisation strategies. Even Google encourage aspiring film-makers to monetise their videos on YouTube. Google AdWords is all about monetising content. But think about it, if monetisation (as a business strategy) works, News Corp will not be suffering in pain today. They have the most content, an army of talented content creators (e.g. journalists) and big financial firepower (relative small business owners). Yet, Rupert Murdoch is still seething at what the Google Trap has done to his business. And yes, by the way, do you know why Google encourages the dream of monetisation? Because it helps them make more money! If every aspiring Internet business owner thinks in terms of monetisation, imagine how much free content there will be on the Internet for Google to sell attention (see “How does Google make money if it gives away stuffs for free?”)? Finally, if you can expel “monetisation” as a strategy from your mind, then I have done my job in this article. Posted in Strategy and tagged Google, Instagram, monetisation, monetization, News Corp, Rupert Murdoch. ← Is blogging a dead way of making money?